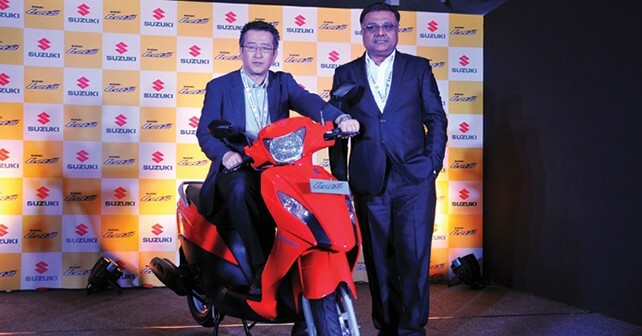 Suzuki’s new scooter called Let’s is a stylish and modern looking runabout that is aimed at the urban youth of India according to the Japanese manufacturer. The Let’s is powered by a light, compact, and fuel efficient 110cc engine with cutting edge Suzuki Eco Performance technology that allows for a claimed fuel economy of 60km/l. The body of the Let’s is also quite practical and light, as it weighs just 98 kilograms. The scooter is available in five color options – Pearl Mira Red, Metallic Triton Blue, Pearl Mirage White, Glass Sparkle Black and Metallic Sonic Silver, and is priced at `46,925 (ex-showroom Chennai).